The three S of a great day. Sweat. Sunburn. Sadness. That’s all you need, right?! But there is so much more to it! When we got up yesterday morning we didn’t know where the day would take us, so we hung out in our airbnb in the morning before A urged me to get into the car, so we could go see a few more places in Oahu. He drove for about 20 minutes before we got out of the car, a tourist coming down an interesting looking path told us to get some ponchos as we’d need them on the way up. I asked A, “the way up where?” And he smiled and said, “you’ll see”. Although soaked in rain and sweat (because ponchos will make sure you’re in a sauna, no matter how cold the outside is), I absolutely loved the view and the experience. And the mud. Who doesn’t love mud all over their shoes and pants and hands? 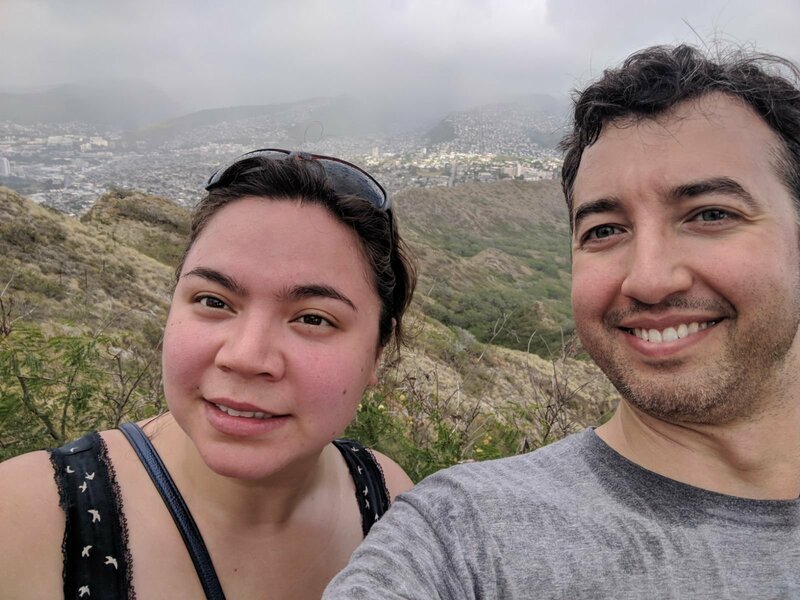 Once back at the parking lot we decided to drive to Diamond Head, figuring that it wouldn’t be much of a harder hike than the one up Manoa Falls. Turns out, I was wrong. 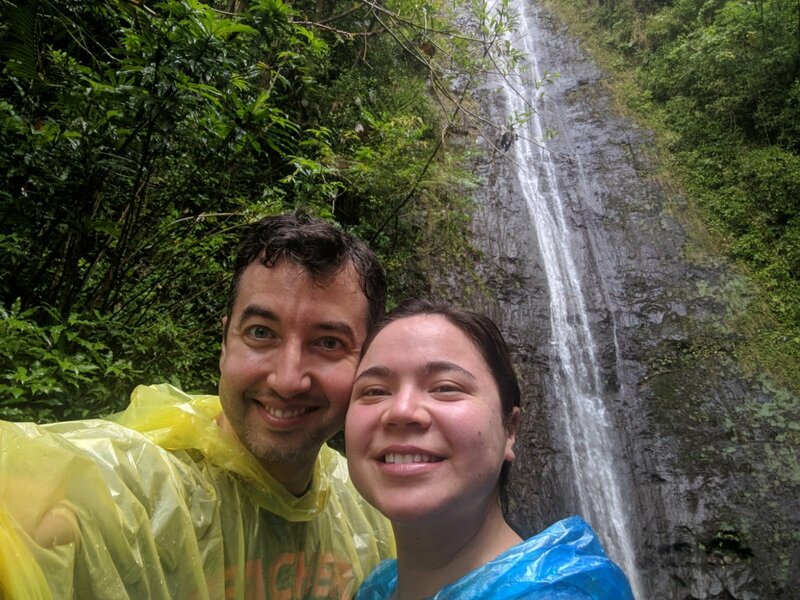 See Manoa Falls was in the middle of a rainforest like terrain, which meant that we were mostly covered from the rain (although not completely) and maybe Eben sunshine (who knows though, because we didn’t have any). However, the hike at Diamond Head is basically out in the open. The weather had changed and the sun was beating down, while I had no way to find any cover, so after hiking in the sun for about an hour (round-trip) I had a worse sunburn than I had gotten all summer long in Norway. And when I mean bad, I mean I got a bit red… which you couldn’t tell because I was sweating like crazy, my face being uber red. 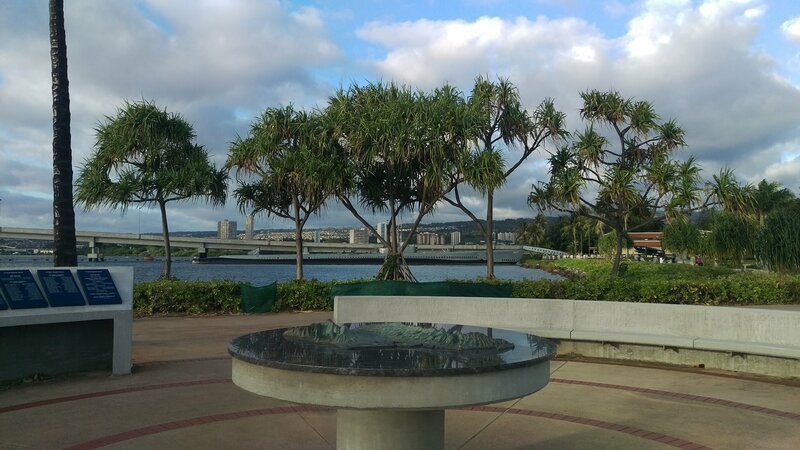 After a well deserved lunch, we decided to head to Pearl Harbor. Now, we didn’t know that there was a historic site and a still working naval base thirty minutes away, still operating. So we went there first, quickly realizing that we are not welcomed there and turned around real quick to the actual historic site… just a FYI, don’t make the same mistake. Unfortunately, we only had a bit more than an hour to spend at Pearl Harbor so we didn’t get to see much, but let me tell you. It’s heartbreakingly sad. Of course it is, but when you read the stories, put faces to the war and hear about what people have gone through, your heart just aches for everyone, who’s very last experience was pain and flames. It’s important though to remember and to understand how we have gotten where we are. Yes, it was an incredible day, filled with everything one could possible want from a successful vacation day: Sweat. Sunburn. Sadness. Don’t be afraid of the three S, they make vacations, life and any experience great!